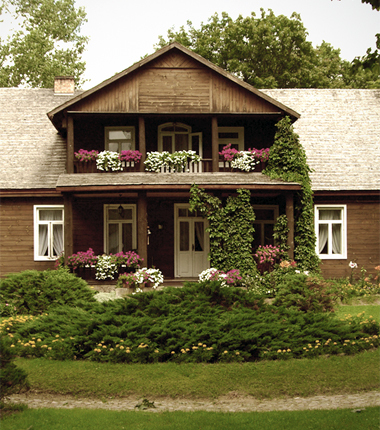 Accommodation in over a 100-year-old mansion with Polish climate. There are five two-bed rooms with the bathrooms, heated tiled stoves, decorated with furniture from that age. Number of people: up to 12 people 5 double rooms with the bathrooms. We are also serving breakfasts and dinners (including hot meal).